The pastry chef at the two-Michelin-starred restaurant in New York City successfully fulfilled her dream. 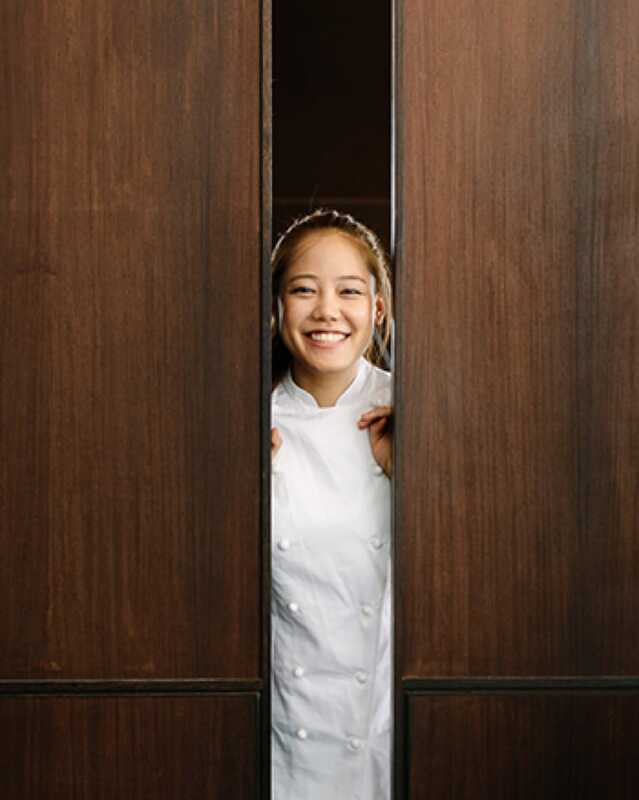 “This is my dream, and this is my future” declared 14-year-old Eunji Lee after watching a television show about the life of a pastry chef at her home in Busan, South Korea. Fast forward to France for a decade of culinary studies and practical experience, and then to Manhattan where Lee is now executive pastry chef at the highly-esteemed modern Korean restaurant Jungsik. Her brilliant five-course dessert tasting menu, reflecting a Korean heritage, classical French technique, and New York know-how, is available nightly at the restaurant’s intimate bar, a progression of unusual flavor combinations in tune with the seasons of the year and chef/owner Jungsik Yim’s mission to reinterpret Korean cuisine. Diners are delighted to encounter unfamiliar ingredients like the Korean red berry Omija, a name that means five tastes, detecting notes of sweet, sour, salty, bitter and piquant, in the Omija juice that naps a scoop of lemon basil sorbet. There are surprises in every course, from toasted brown rice cream puffs to the whimsical “baby banana,” a trompe l’oeil presentation that showcases the chef’s creativity, artistic sensibility and attention to detail. Seeking a more pastry-focused experience, Lee aimed high: a position at the Michelin-starred restaurants at Hôtel Le Meurice, the domain of acclaimed superstar pastry chef Cédric Grolet. After passing a series of tests that included preparing several desserts, Lee was accepted, starting as a pastry cook and rising in the ranks to sous chef during four years of close collaboration with Grolet. The dessert tasting menu at Jungsik in New York City. There were adjustments: communicating with her staff in the English she had learned in Korea instead of in French; differences in staples like cream, butter and flour, and adapting to American tastes as well as ingredients. “The French love acidity, a sour lemon tart that is really lemony,” she notes, “while chocolate and caramel are favorites here.” All of those flavors are vividly incorporated into Lee’s panorama of sweets. Currently, the Omija lemon sorbet is followed by a calamansi tart, with the citrusy notes of that Asian fruit balanced by sweet pineapple sorbet, coconut cream, and south Asian herbs like cilantro and lemongrass. 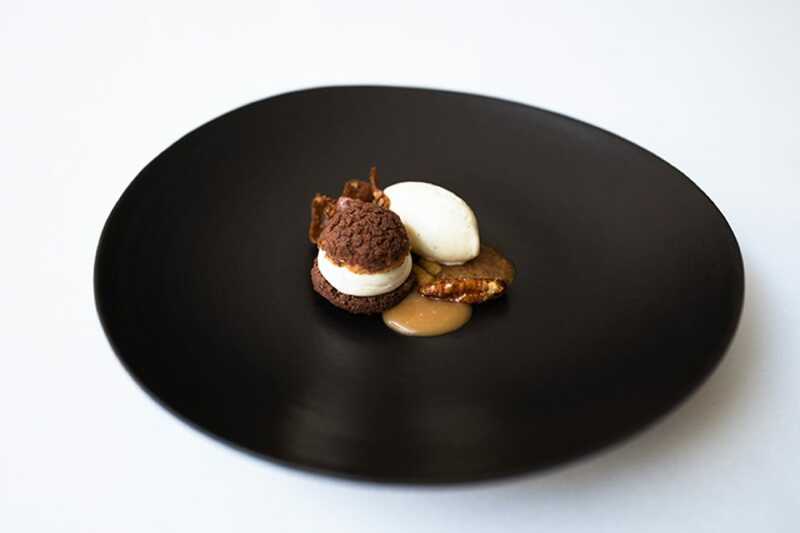 De rigeur on the menu is Lee’s signature “baby banana,” a white chocolate shell shaped to resemble a piece of fruit that is filled with Valrhona Dulcey chocolate ganache and Bailey’s cake and served with French coffee ice cream and chocolate crumble. The fourth course is a riff on the Paris-Brest, a classic wheel-shaped cream puff confection, named for the bicycle race between those French cities. Lee playfully recasts it as NY-Seoul, a crunchy base of Korean short grain toasted brown rice cream puffs, topped with pecan praline and vanilla ice cream. The NY-Seoul Ver. 2 features brown rice cream puffs, pecan praline and vanilla ice cream. 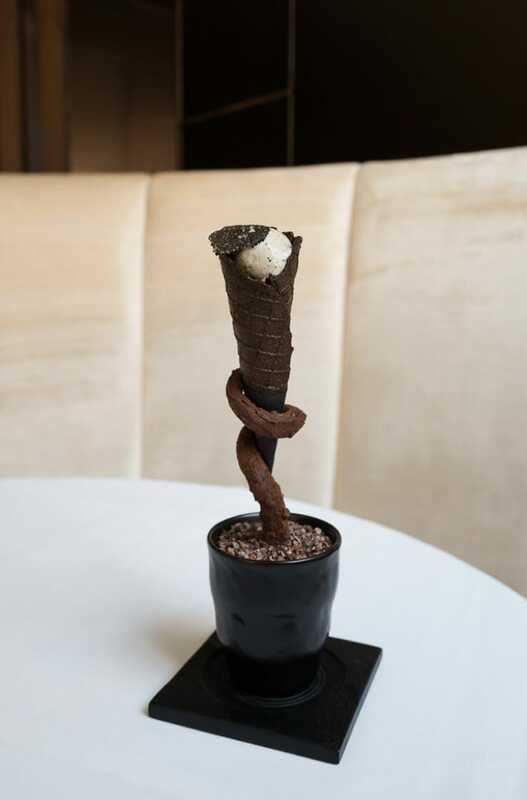 At this point in the tasting, there is an optional, extra supplement course for the sweet-obsessed: a chocolate waffle cone filled with truffle ice cream and topped with black truffle and fleur de sel. 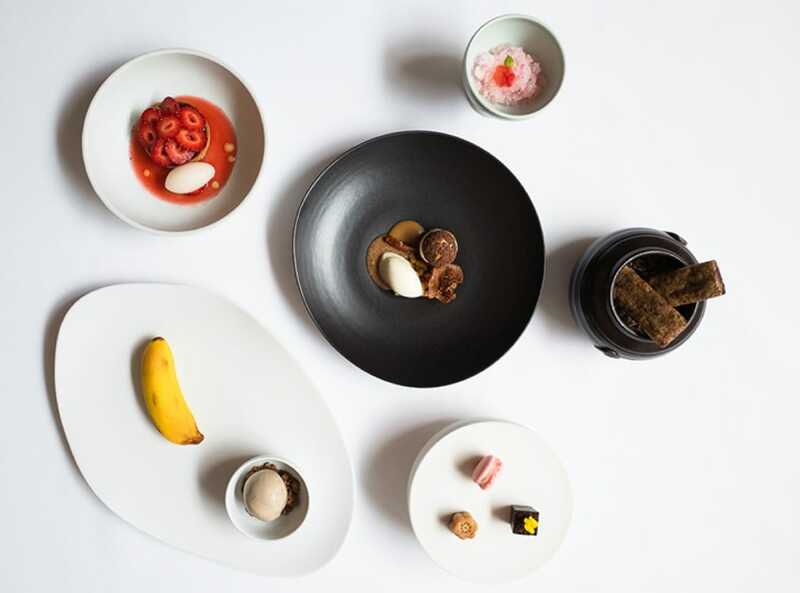 Those with more modest appetites—and budgets—move on to the finale of miniature petits fours, including a dark chocolate and ginger bonbon, black sesame macaron, and yakgwa, a popular honey and sesame candy, served in a traditional Korean clay pot. The decadent truffle cone is available as a $25 supplement. While the dessert tasting menu has kept Lee busy in the kitchen, she was able to take a break last fall, returning to France to become the first non-European competitor on the popular TV series, Qui Sera le Prochain Grand Patissier? Lee made it to the finals in the contest to be chosen the next great pastry chef, and, in a close race, lost by only three points, 64 to 67. But perhaps her stellar performance will be the inspiration for another teenager to dream, as she once did, about a future as a pastry chef. Nur serves this Middle Eastern dessert with rose water, grenadine, pistachios and rose petals. Make the sweet treat in the comfort of your home. There’s a secret to the meticulous Indian dish.